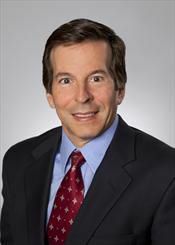 David's practice focuses on complex commercial litigation in the state and federal courts. David has represented public companies and their officers and directors in numerous securities fraud class actions, represented Fortune 50 companies in a wide range of complex commercial litigation matters, including matters involving intellectual property disputes, represented a major telecommunications company in an array of commercial litigation matters, represented companies in sales and use tax disputes, and represented national and local companies in employment controversies, including class-action discrimination lawsuits. As past President of the Federal Bar Association and Lawyer Representative to the Ninth Circuit Judicial Conference, David has developed knowledge and experience in the finer points of prosecuting complex litigation in the federal courts.